Unfortunately, scraping together a mortgage deposit is not the end of the cash you’ll need to have on hand when buying a home. Extra costs abound in property purchases, including those related to stamp duties, surveys, solicitors, mortgages and insurances. Thankfully with some forethought and planning you can avoid being shocked by these “hidden” charges and create a property buying budget that takes into account the extra costs that you – and possibly your joint owner - may confront. Most property buyers will need to pay stamp duty or the tax on buying a new property. The amount of stamp duty a buyer will need to pay will depend on the purchase price of the property because stamp duty is actually a percentage of this price. There is actually no stamp duty payable for properties purchased for under £125,000 and after that the amount due depends on the purchase price. For example, 1% is due on properties between £125,001 and £250,000, 3% is due on properties between £250,001 and £500,000 and 4% is due on properties of £500,001 and above. Structural surveys are imperative for buyers so that they can be sure that the property being bought is safe, up to standard codes and will not require any surprise repairs. Sometimes mortgage lenders arrange for a survey but there are also private surveyors available. Fees vary, so shopping around for the best deal is a good idea for any potential property buyer. Potential property buyers do not need to work with a solicitor, but many do and these purchasers should be aware that they will usually be charged not just for a solicitor’s time but also for any fee that the solicitor paid on their behalf such as land registry fees and local authority search fees. Fee structures vary, so discussing typical charges before formally employing a solicitor is a good idea. At the end of the sale a final receipt of all fees levied and payments made should be made available to all involved. Hidden costs related to mortgages often come in the form of mortgage indemnity guarantees and fees from mortgage lenders. Not all mortgage lenders charge a mortgage indemnity guarantee, but it is fairly standard in cases of borrowing 75% or more of the purchase price. This fee is collected by lenders so that they are insured against loss in the event that they must repossess and sell a property. Mortgage lenders may also charge an administrative fee. This fee should be advertised and explained before being charged. 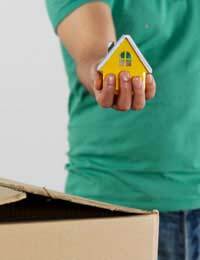 Potential property buyers should be aware that a variety of insurances may be required to finalise their purchase. To begin with, mortgage lenders may require life assurance cover so that their loan is protected in the event of the death of a borrower. Home insurance is commonly arranged by buyers and mortgage insurance, which covers a situation in which the monthly mortgage payment can not be made, may also be taken out by a purchaser. Mortgage lenders may offer all of these types of insurance cover, but it may be worthwhile for any potential buyers to shop around and find out the best deals open to them. There are a variety of extra costs associated with property buying, but they should not deter potential property buyers. Investigating these costs early on will help buyers budget for them and avoid surprises later.